This species is a native of the middle to the eastern states in the U.S.A. 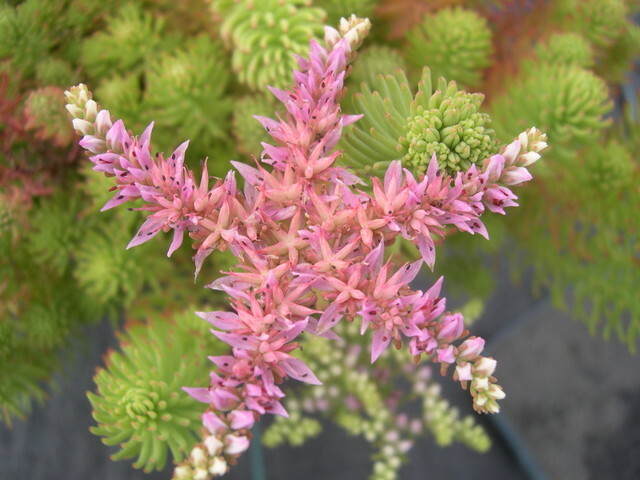 It has slender green needle-like leaves that color up red under stress. Early summer flower clusters with lilac-pink blossoms and purple anthers. Does best in moist shady locations. Often in nature these will grow, bloom heavily, go to seed and die all in one season.